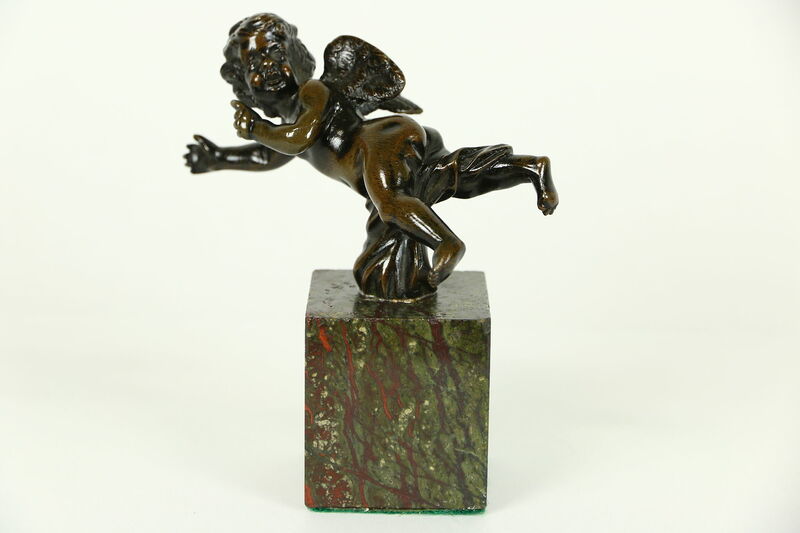 A flying angel, cupid, cherub, or in Italian, "Putto," is captured in this bronze sculpture from around 75 years ago. The marble base of this unsigned antique statue has minor chips at the corners, see photos. Size is 5" across, 3" deep and 5 1/2" tall.